The July 12 Breakfast Forum presented by the Australia New Zealand Chamber of Commerce in Korea (ANZCCK) features Mr. Kim Kyong-Hae, the CEO of Communications Korea, and president of the Korean Institute of Crisis Management and Strategy. Handling the media during a business crisis is not something business people have to do often, but when they do, it is important to get it right! Moreover, strategies that work in another country may not work in Korea. Kim Kyong-Hae has many years experience in the PR industry and PR crisis management, and has developed strategies to plan for and deal with these events. He will discuss his "10 Commandments for Crisis Management" at the breakfast forum on Tuesday July 12, 2005 at 7:30 a.m. (for 8 a.m. breakfast) in Grand Ball Room 3 at the Grand Hyatt Hotel, Seoul. 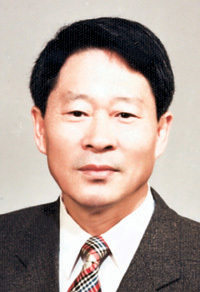 Mr. Kim began his career as a journalist and founded Korea's first English language business magazine, "Business Korea." He then became involved in Public Relations, working for various government agencies and high profile projects. He also taught Public Relations to graduate students at Sogang University. He is now CEO of his company Communications Korea and is also president of the Korean Institute of Crisis Management and Strategy. The Australia New Zealand Chamber of Commerce in Korea (ANZCCK) hosts regular forums featuring both expatriate and Korean speakers and covering a diverse range of topics. The ANZCCK was founded in May 2001 with the amalgamation of the Australian Business Group and the New Zealand Business Group the operating individually in Korea. Today, the Chamber boasts a combined membership of over 250 members. The ANZCCK facilitates business opportunities for Australian and New Zealand companies and individuals by creating networks that enable their commercial interests in Korea. As a result of its numerous business information services and networking activities, the ANZCCK has become a prominent business organization in Korea over the last four years. The Chamber is pleased to be recognised by the Korean government and others, including the media, as one of the leading foreign Chambers of Commerce, representing the views of a significant part of the foreign investor and business community in Korea. For more information about this and future breakfast forums, visit www.anzcck.org and email exec@anzcck.org if you wish to attend the breakfast.